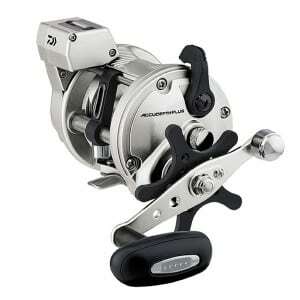 Reliable reels to find the strike zone time and time again. They measure line out in feet, allowing for easy and accurate setting of trolling patterns. 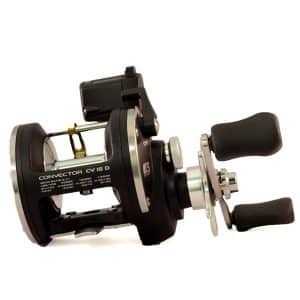 These reels will perform flawlessly when you hook up. 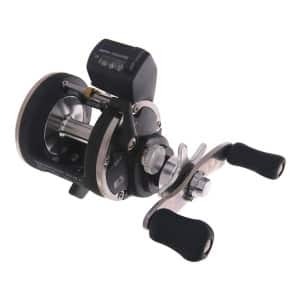 Each model boasts a strong yet lightweight graphite composite frame, machine-cut bronze gears, a forged aluminum spool, and smooth dependable Teflon-impregnated felt drag washers. Accudepth Plus reels make locating and landing fish easier than ever. Built-in Line Counter. 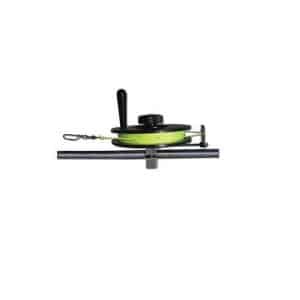 Ideal for downrigger, diving planers or flat line trolling. 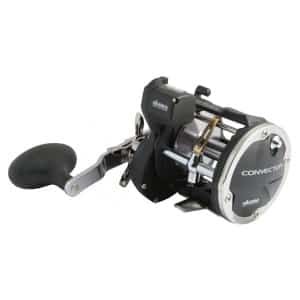 Okuma’s Convector series of conventional reels are perfect for everything from inshore and offshore fishing, to going for Musky, Salmon and Pike in inland rivers and lakes. 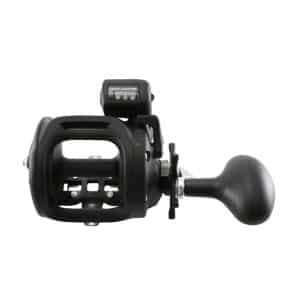 Light weight graphite construction with reinforcing stainless steel rings provide an extreme stable and strong light weight frame for the stainless steel gears and bearings, all of which when combined make a reel that will not sit around collecting dust but will become your go-to reel for any fishing situation. 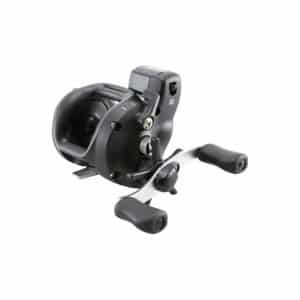 This reel is lightweight, corrosion-resistant frame and side plates. Machined aluminum, gun smoke anodized spool. Stainless steel reinforcing side plate rings . Multi-disc Carbonite drag system. 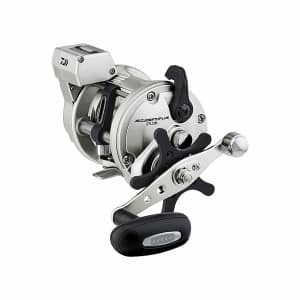 Okuma Magda Pro DXT Line Counter Reels are designed with a modern look, plus all the performance features anglers want. 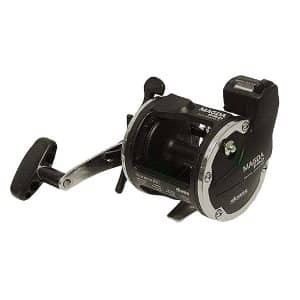 Magda Pro DXT Line Counter Reels utilize a Speed Loc Pinion gear system allows for instant gear engagement at extreme high speeds. 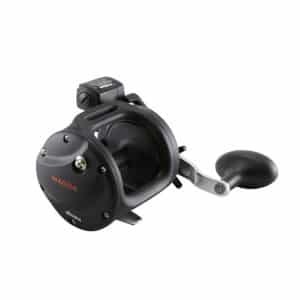 These reels are built to be durable and long-lasting with a corrosion-resistant frame, side plates, and graphite spool. Okuma’s Strike Zone mechanical line counter system precisely measures in feet based on spool revolutions for accurate line usage. Okuma is the first company to adopt technology which originated in the large machine industry. 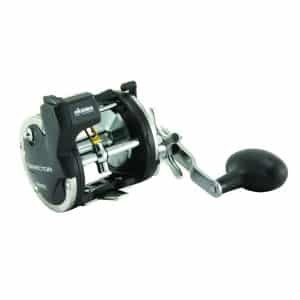 This technology is the self lubricating gear system feature found on Okuma higher end star drag reels. The main gear on this system incorporates a heat sensitive oil impregnated brass bushing that is mounted in the center of the gear. This system releases oil if friction increases to keep the main gear and drive shaft running smoothly in all conditions. 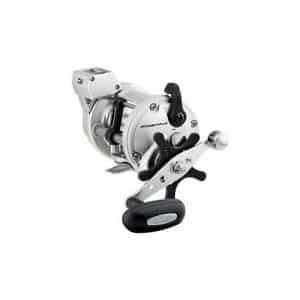 Convector line counter reels caused a revolution in the fishing tackle industry offering a powerful gearing and drag system platform previously unavailable at the Convector’s value-oriented price. The Convector has grown to a position as a staple in salmon fisheries from Alaska to the Great Lakes, and everywhere in between. The Convector’s no-nonsense design features aluminum and stainless steel components at all critical stress points, along with Okuma’s patented Mechanical Stabilization System that maintains parts alignment over the long term. 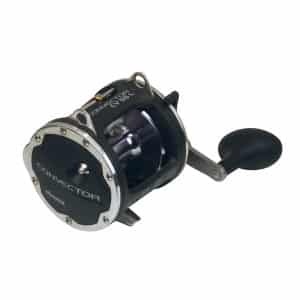 Convector levelwinds and line counters revolutionized the fishing tackle industry, offering a powerful gearing and drag system platform previously unattainable at the Convector\’s value-oriented price. 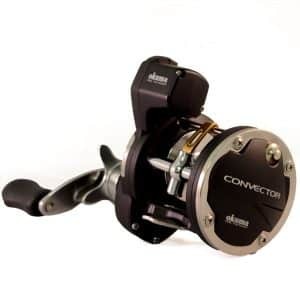 Today, the Convector has grown to a position as a staple in salmon fisheries from Alaska to the Great Lakes, and as the “go-to” reel for Striper and bottom fishing anglers. 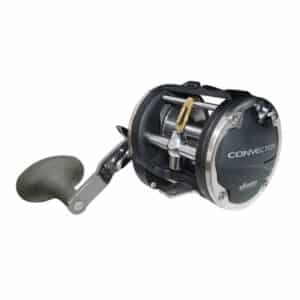 The Convector\’s no-nonsense design features durable brass main and pinion gears, stainless steel reinforcing side plate rings, and Okuma\’s patented Mechanical Stabilization System that maintains parts alignment over the long term.